China has passed a controversial cybersecurity law on Monday to combat growing threats of hacking and terrorism, Beijing said. However, the law has triggered concerns in trade associations in the US and other countries that it will further strengthen the country’s censorship regime and affect foreign trade. China is known for its strict censorship policies. But, this week’s legislation has provoked criticism from the business and rights groups. Critics believe the law would make it more difficult for foreign tech companies to do business in the country. “Overseas critics of the law say it threatens to shut foreign technology companies out of various sectors deemed “critical”, and includes contentious requirements for security reviews and for data to be stored on servers in China,” Reuters reported. The new cybersecurity law requires companies to improve their network defense systems and also demands for security reviews in what it calls the “critical” sectors. Foreign companies have said the law will harm trade, as the list of critical sectors covers a wide range of businesses, including telecom, transportation, and finance. The legislation tightens China’s already strict censorship program by holding companies accountable for any unapproved information that is spread through their platforms. Some of its provisions require companies to store data on servers located in China (similar to Russia). It also demands tech companies to offer “technical support” to security agencies in their criminal investigations. Tech companies criticize that the authorities may require them to disclose intellectual property, or worse, create backdoor access in order to continue doing business. Over 40 companies petitioned in August calling for the law to be amended. However, these provisions remain in the version passed this Monday. “Despite widespread international concern from corporations and rights advocates for more than a year, Chinese authorities pressed ahead with this restrictive law without making meaningful changes,” Sophie Richardson, director Human Rights Watch (HRW) China, said in a statement. Rights advocates have said the law will enhance restrictions on China’s Internet, which is already using the world’s most sophisticated online censorship mechanism – also known as the Great Firewall. “The law will effectively put China’s Internet companies, and hundreds of millions of Internet users, under greater state control,” Richardson added. But the government argues that the law is necessary to fight against growing online threats. 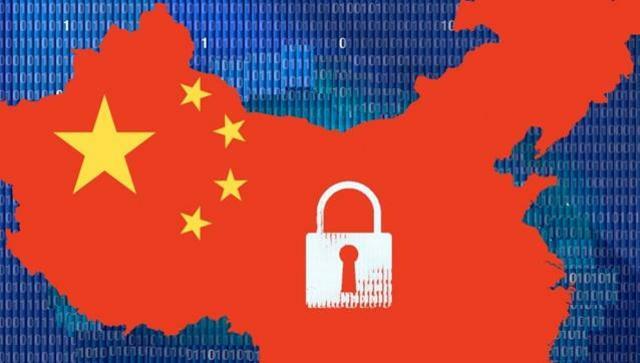 “China is an internet power, and as one of the countries that faces the greatest internet security risks, urgently needs to establish and perfect network security legal systems,” Yang Heqing, an official of the National People’s Congress standing committee told Reuters. The controversial legislation was passed on Monday and will go into effect in June 2017.